Note: 2.5in/3.5in SATA HDD not included (HDD Supported: Max. 3.5in 6TB SATA HDD). If you need download the software or more detailed information, you can download it by the link on the user manual. 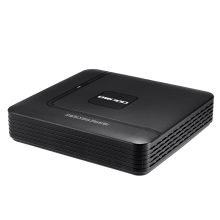 *NVR CVI TVI HVR AHD 5-in-1 function, support both AHD camera and analog camera input, support both 1080P AHD camera and 1080P IP camera input. *Onvif protocol standards, compatible with various Onvif IP cameras (need Onvif2.1 and above). *Easily installation, no need any complex installation, very convenient.